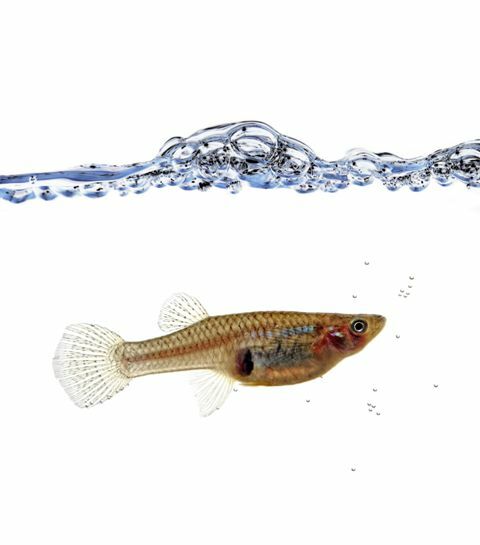 A recent study revealed that mosquitofish and college students might poses the same numerical skills. Not the strongest fight for academics, but a huge triumph for the fish. Several different lab experiments were conducted and the results were conclusive that the mosquitofish not only could count, but due to their craving for social interaction they sought out larger groups. The fish were presented with different doors to venture through to find larger groups of their peers, and after a few rounds the fish were no longer randomly selecting the doors, they had actually learned which doors benefited them the most. In addition to being able to distinguish the separate doors, they were also able to understand ratios. When the same challenges were presented to 25 undergraduate students, the students correctly solved them with more success than the fish, “but they did show the same degraded ability to judge number differences as ratios shifted from 2:3 to 3:4”.